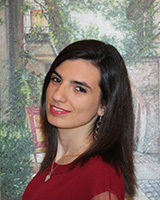 Chiara graduated in Communication and Marketing in 2018. She worked in the field of Social Media advertising after her graduation, and before she approached the Ethicjobs project. I will take care of letting everyone know about our victory in the Sustainable Economics category!"